I read and loved Notorious Royal Marriages earlier this year and immediately went out and purchased its predecessor: Royal Affairs. 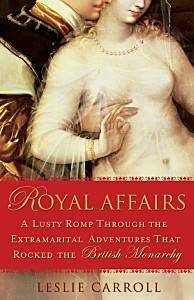 This compendium of facts and figures on the other women (or men) in the lives of the British royals is just as fast-paced and witty, though with an eye-opening look at the other side of the royal love life—one which should have been the happy coupling, but more likely than not ended painfully and expensively. The author starts off with bang dedicating the book to her husband, who “endured my devoting nearly every waking hour of our first half year of marriage to a book on adultery.” This sentiment sets the tone for the rest of the book. Leslie Carroll has a clever wit and makes history delightfully readable. • The reasoning behind Elizabeth Shore’s name change (to Jane). • What ultimately has happened to graves and the remains of the royals and their lovers. • Descendants of the royals and their lovers. • Anne Boleyn had embroidered on her attendant’s livery (in French) ‘That’s how it’s going to be, no matter who grumbles” though had to remove it as it had already been used by the Burgundians. • Catherine Parr wrote and published a book. 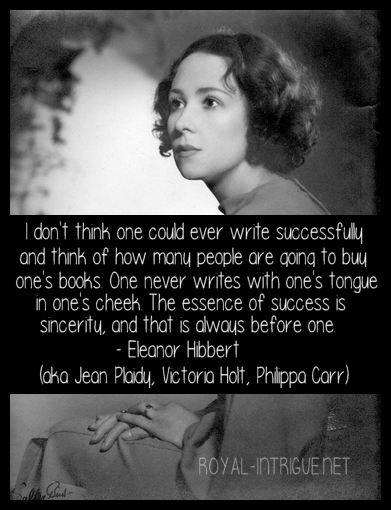 Actually I knew this already, but expanded upon is actual numbers as to how many females had published works at the time. • The situation surrounding the 1st Duke of Buckingham and James I is something I read a bit of, but the relationship is much more detailed here. I’ve read of James’ other favorite, Robert Carr, and so was glad to get some info on the infamous Buckingham who went on to be a companion to Charles I. • The 2nd Duke of Buckingham made this quote of Charles II: “A king is supposed to be the father of his people and Charles certainly was father to a good many of them.” I love reading his quips and those of Rochester. They are my favorites in Charles’ court. • Francis Stuart, who was admired by Charles II but did not become his mistress, had such a beautiful profile that it was used on the penny for 3 centuries. • Hortense Mancini, a lady I am very interested in, had an entire chapter and it’s made me want to delve further into her plight. She seems such a misunderstood character. • George I & II and their ugly mistresses; the Hanovers were a weird bunch. • From reading the chapter on Victoria and John Brown, I would like to jump right into my Plaidy novels on these characters. It seems such an interesting time period, as the world was changing so much, but the Queen seemed locked up in her grief. • Edward VII is entirely new to me and his three prominent mistresses all lead interesting lives. I’d like to read more on them. Other than things such as these that piqued my interest, the sheer numbers presented are staggering— as in the amount of money the royals spent on their paramours, either setting them up in style or trying to pay them off to get rid of them. I would have to say the most opulent era seems have been during the Regency when the Prince Regent’s debt (at one time) amount to the equivalent of $88 million! This excess seems so pointless in today’s world, but then things have changed. Reading the last chapters on Camilla Parker Bowles and Princess Diana tells you as much. There were facts that seemed off from what I’ve read before, but I’m no (professional) historian and I realize that even the researchers and biographers have trouble finding information that proves to be completely factual. There’s also the problem with differing opinions and agendas the authors translate into their works as fact. It has to be difficult to write a book in which more than 50 sources are cited—think of the sheer magnitude of that sort of research! As such, I commend the author in taking on the subject and making it so enjoyable to read. I’m eagerly waiting on the third installment from Leslie Carroll, Royal Pains!